This week, the transit agency's Board of Directors approved an exclusive negotiating agreement with two developers to construct four new buildings on BART-owned lots above the station. 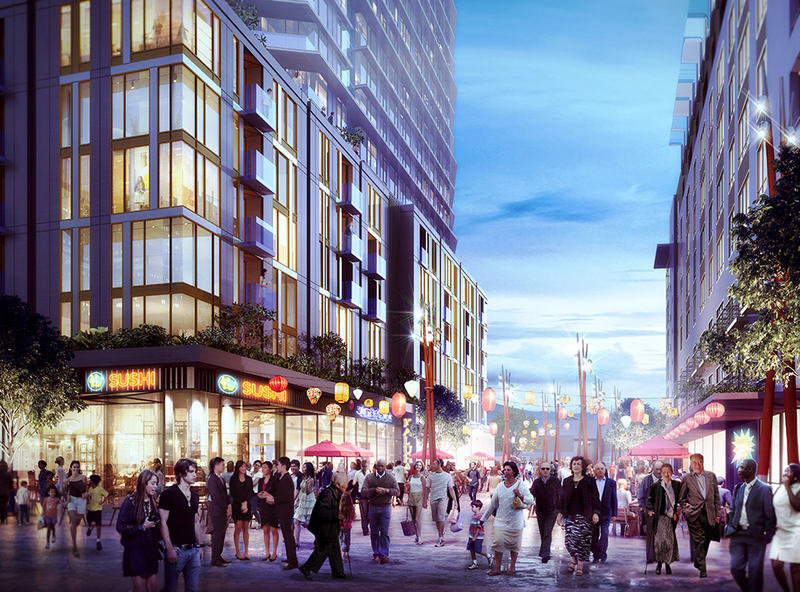 As proposed, the buildings would include 519 units of housing -- 44 percent of them designated as affordable -- and 517,000 square feet of office and retail space. 20 percent of the office and retail space would be offered at below-market-rate prices for "community-serving organizations and small businesses," according to a statement from affordable housing developer East Bay Asian Local Development Corporation (EBALDC). "We've worked closely with community partners and residents for the last 10 years to incorporate their vision into our proposal," said EBALDC executive director Joshua Simon. Though the project has been in the works for years, BART still anticipates a further two years of work ahead refining the proposal and getting feedback. There's no timeline yet for construction to begin or for the project to be completed. "We're looking for a development that has it all: affordable housing, space for local services, job centers encouraging a reverse commute, and support for regional and state climate goals," said BART board President Robert Raburn. 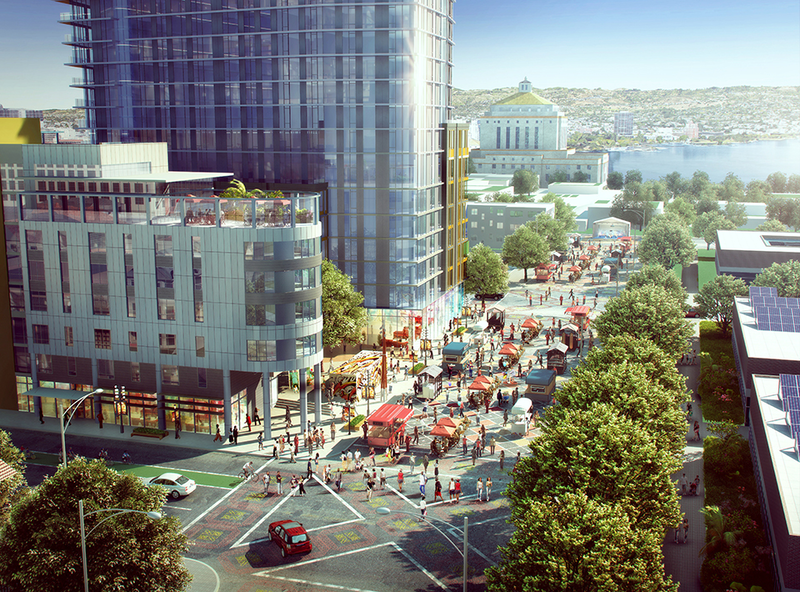 The planned buildings are the latest step in BART's transit-oriented development strategy to develop the land around its stations.